The inaugural Brewers Congress took place on Monday 27th November at One Great George Street, London - home to the headquarters of the Institution of Civil Engineers; a suitably grand venue for an ambitious event which brought together producers, manufacturers, people in sales and hospitality and, of course, brewers. The focus of the congress was a series of presentations given by 16 industry figures who were invited to speak on a variety of topics from ingredients to methodology to branding to distribution. Speakers were divided into four sessions with ingredients and methodology before lunch, and business-orientated topics in the afternoon. Tim Sheahan opening the Congress. Yes, that's the back of my head. But the standout ingredient was the story of how Nick as an artist grew along with the brewery. I don't know if this might have an added significance for us because we can recall having brunch in Duke's one Sunday five years ago, chatting to Byron and being introduced to Nick, who was working there at the time. We still have some old Beavertown business cards with the original branding on so we've seen it evolve before our eyes from the outside. That made it all the more interesting to hear what it was like from the inside. 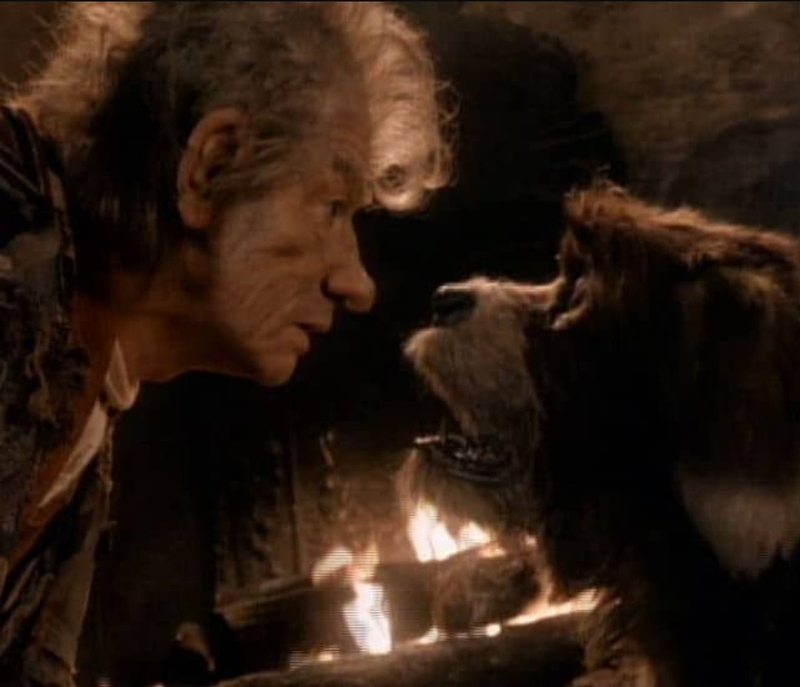 And it just so happens that I like storytelling even more than I like beer, so I was wowed. Communication is something I think about a lot - what makes a good teacher or good public speaker (or a good writer)? How can I improve my own performance? I attend lots of lectures and seminars in the course of my work, and as I watch and listen I am considering the performance of the speaker to see if there is anything I can learn from them. Part of my role as a scientist is teaching, which is almost entirely about communication. I need to be able to explain scientific theory and practice at the appropriate level required for a particular student at that particular time, whether they're a medical doctor, a nurse, a soldier or another scientist. I've worked in the academic world for 17 years so I've had a lot of practice at what I do. But I say 'practice' for a reason - I'm always learning and I always want to improve. I know of academics who are brilliant scientists but who are not great at teaching. There are various reasons for this but the main one is that they simply don't care whether they are good at it or not. I've also seen some amazing teachers and communicators in the course of my work. But it isn't as simple as just being naturally gifted at it, although certainly a few people are. The most important thing is that you need to care about doing it in order to be good at it. I don't know a single person who doesn't care about communicating who just happens to be good at it in spite of that. It doesn't happen. When someone doesn't enjoy public speaking and they just want to get it over with, it shows. At the congress we lucky enough to have a couple of charismatic speakers who definitely fall into the category of the naturally gifted. You know you've got one of these when they make you feel relaxed, even though they're the ones performing, because you know you're in safe hands. However if they were just 'naturally good at talking' but didn't care about their subject then they simply wouldn't be as good. Appearing in the first session of the programme was John Keeling, of Fullers, whom I think could probably talk to you about a shoe for 20 minutes and still hold your interest. On this occasion he was talking about definitions in beer and about philosophy in brewing - quite broad concepts; but when John examined them in depth they inspired reflection from the audience. Later on Stu McKinlay of NZ brewery Yeastie Boys gave us an emotive presentation focusing on the importance of people in the success of his business and how important it is to take care of employees (as well as friends and family). This performance was impressive to me from a professional point of view because Stu did his whole presentation seemingly off the cuff, using only a handful of prompt slides (with phrases referencing musical influences). It felt to me and the other attendees with whom I talked about it afterwards that this had been an authentic and heartfelt presentation which resonated with us. I know Stu to be a friendly guy who is both curious and approachable, but I didn't know him well enough to be aware that he must surely have been a motivational speaker in a previous existence (he claims this isn't the case). Listening to him speak at the congress put me in mind of some of the keynote speakers at graduation ceremonies I've attended. Some people are capable of drawing you in and making you feel invested in the story they're telling, inspiring you and even moving you emotionally. The impact they create can stay with you long afterwards. During Stu McKinlay's presentation at the congress he referenced a panel at IndyManBeerCon back in 2015 which John Keeling was on. I was in the audience of that panel at IMBC too and I totally agree with Stu's assessment of Keeling on that evening - when he spoke people listened and what he said influenced the direction of the panel. That's a gift and it can be a real joy to witness it in action. 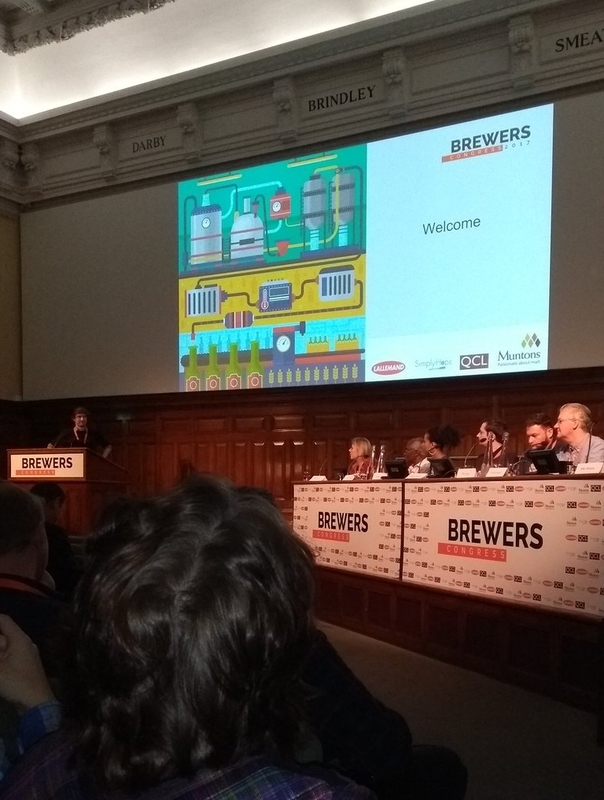 The final speaker I need to mention is Jaega Wise, Head Brewer at Wild Card, who delivered a well structured and professional presentation on women in the beer industry, with a focus on some recent examples of the tired sexist branding we are sadly all too familiar with. She remained calmly dispassionate whilst covering an emotive subject, which many of us have very strong feelings about, and she concluded her talk with a number of recommendations for how the industry can begin resolving the issues. This presentation has prompted a great deal of discussion in the media as well as responses from CAMRA and SIBA. I have only mentioned a few of the speakers who presented at the Congress - because these people made a particular impression on me. Those who made an impact have clearly given some thought to the art of communication; they have considered their words and their message carefully. That's something that everyone should do if they would like people to pay attention to them (for the right reasons). So what makes someone a good communicator? Well, if we're talking about public speaking there is an accepted baseline for performance - that all speakers should speak slowly and clearly and make good eye contact (we'll assume they have prepared a great presentation in terms of content). But if you would like to get beyond the baseline level you'll need to become a storyteller. Everyone loves a story. They've been part of our nature since we first had tools to record them. And I'm not just talking about books or films or even an oral tradition of mythology. I'm talking about when you're describing something funny that happened to you on the way to work or something ridiculous that you saw in the pub the night before. Those are also stories. They are your stories. We tell stories all the time, but we don't always realise that's what they are. If you think about the best speeches you've heard or the lectures that stay in your mind for years afterwards - it probably isn't the facts or figures that you recall from the distant past, it'll be a joke or a metaphor, or some kind of image the speaker got you to create in your own mind. It'll be something they told you about themselves; in other words, a story. If you want to become a better communicator* think about storytelling. Next time you're listening to a speech or next time your friend starts telling you a story, don't just listen to what they say, listen to how they say it too. I'll finish up with one of my favourite bits of advice for life in general, but it definitely works here too: when you see someone who is good at something, try to learn from them.